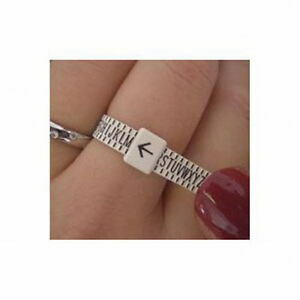 The multisizer works like a belt, forming a ring and then placing over the finger, adjust to give a comfortable fit. Then simply read off the indicated size. This multisizer is marked with British Ring Sizes A-Z. Podatek VAT: 0.2% (wliczony w cenę podaną przez sprzedawcę).